Gedania was built in 1975 and entered the Tall Ships’ Races on several occasions. 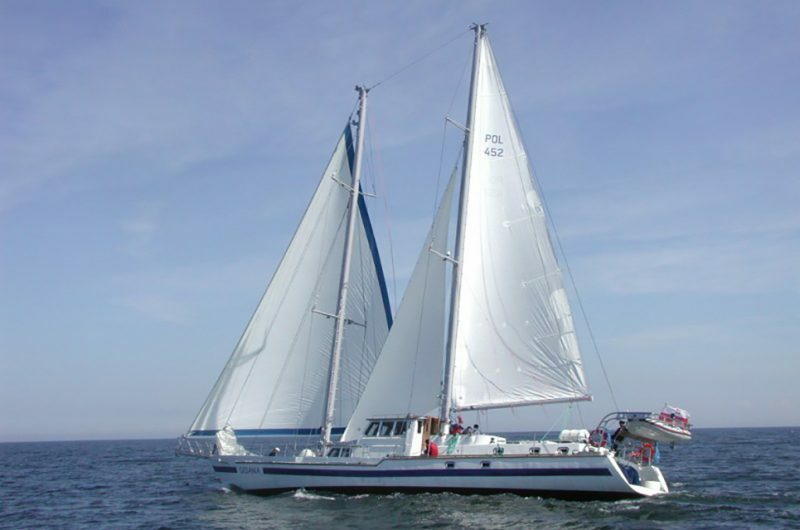 In 2005 she was rebuilt by Sail Training Association Poland. Her hull was extended and she is now almost 24 metres in length. She also had new sails, new equipment, new crew and new adventures. Gedania is licensed to carry up to 20 people. Life on board is relaxed but it can also be full of challenges and possibilities. Trainees need no previous sailing experience – we’ll teach you everything you need to know – everyone takes part in the running of the boat. If you are adventurous, energetic, fun-loving and easy-going, and if you really enjoy life then get in touch. 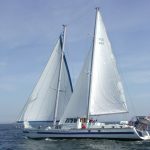 Trainees need no previous sailing experience - we’ll teach you everything you need to know - everyone takes part in the running of the boat. If you are adventurous, energetic, fun-loving and easy-going, and if you really enjoy life then get in touch. Gedania is a school sailing ship, which is why each cruise participant must be his crew. At the beginning of the voyage, before departure, the crew is divided into watches and acquainted with their duties. Then, safety training takes place and training alerts are carried out. The daily schedule is constructed in such a way that each watch will be followed by navigational services by day and by night, Bosun and galley work (preparation of meals), but also free time. Navigational Watch is carried out on board and then navigation is carried out under the guidance of the watch officer. Then you also work with sails, carry out observations and steer, so that you can move safely for the intended purpose. Bosun's watch carries out cleaning and maintenance work on board along with Bosman. Usually it is washing the deck, cleaning the locker, minor repairs or maintenance. These works are usually performed during the flow and in good weather. Kambuzowa Watch. There is no professional cook in the crew, that's why economic watches prepare meals and clean up after them. The watch also performs daily cleaning under the deck. At the end of the cruise, the entire crew cleans the yacht so that it is at least as clear (clean and nice) as it found when starting the cruise. Before leaving, participants receive a cruise review confirming their internship and skills.